Born in 1904 in Behala, Bengal, Benode Behari Mukherjee joined Santiniketan in 1917 and Kala Bhavana in 1919, where he was one of the first students of Nandalal Bose. 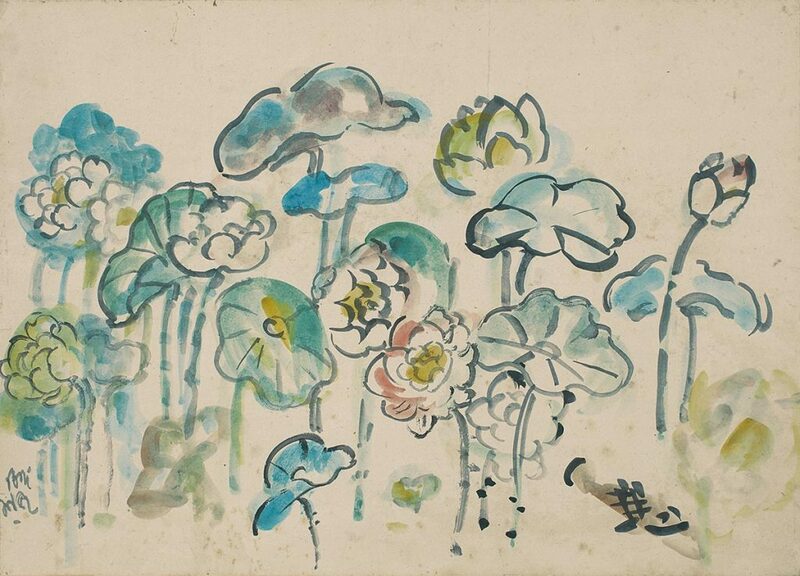 A congenitally impaired vision that denied him normal schooling and resulted in a lonely childhood, brought him close to nature and had a deep impact on his art. Mukherjee renounced the overt symbolism of mythology in favour of themes from everyday life. The expressionism of his early works may be compared with the work of the German expressionist group Die Brucke. 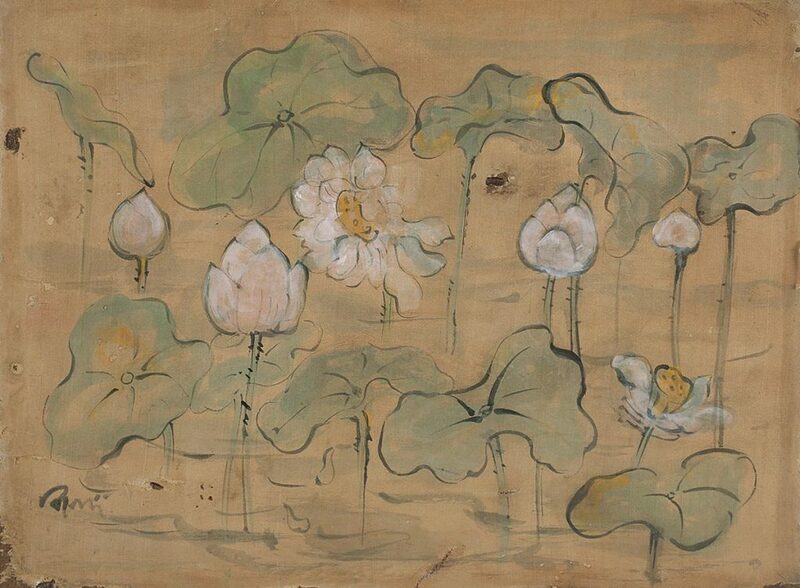 A visit to Japan in 1936 proved particularly significant as he was an admirer of the Tosa School of Painting. Experimenting constantly in his drawings, sketches, woodcuts, dry-points and lithographs, he soon diversified to mural paintings. 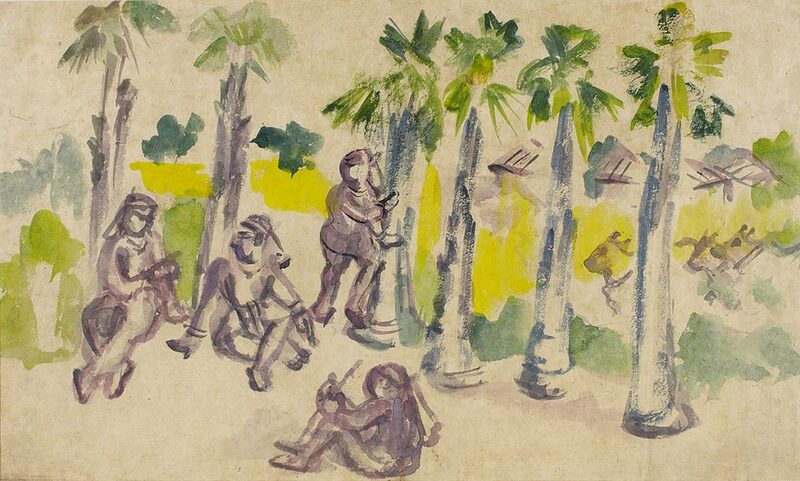 His perceptions of the Santiniketan landscape and campus life found artistic expression in several compositional calligraphic paintings. 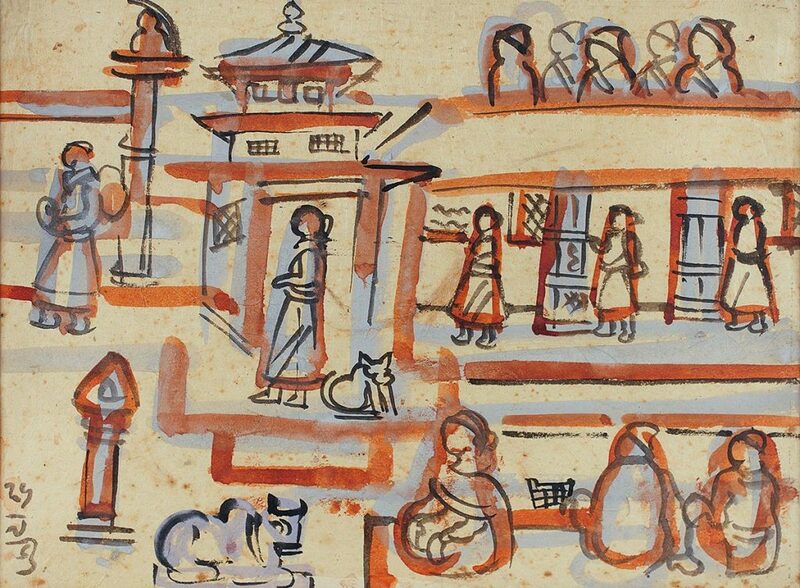 Mukherjee travelled widely, becoming for a brief while the curator at the Nepal Government Museum in Kathmandu, a period when he painted the country in a series of drawings and watercolours. Though Mukherjee turned completely blind by the time he turned 50, his creative urge remained undiminished. He began making drawings and small sculptures based upon figural images achieved by folding paper. He also took to serious writing, using it as a tool to express his personal views on art. 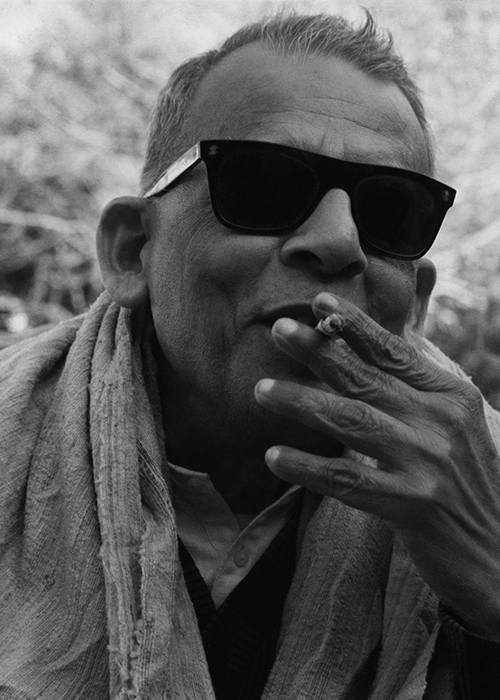 In 1973, Satyajit Ray made a documentary on his work, called The Inner Eye. Mukherjee received two literary awards, the Rabindra Puraskar and the Bhartiya Bhasha Parishad Award, the latter in the year of his death.